Seadon grew up in Vancouver where he played sports his whole life. Since elementary school, he played competitive basketball and volleyball up until this spring. Throughout the years, he experienced both the benefits of being active and the negative impact from injuries. Injuries are bound to happen but it’s a matter of recovering and rebuilding to become stronger. This was made possible with countless hours spent rehabilitating in the gym and working with various therapists who provided collaborative care. Through the trials and tribulations, Seadon became passionate to pursue a career in the art of healing. 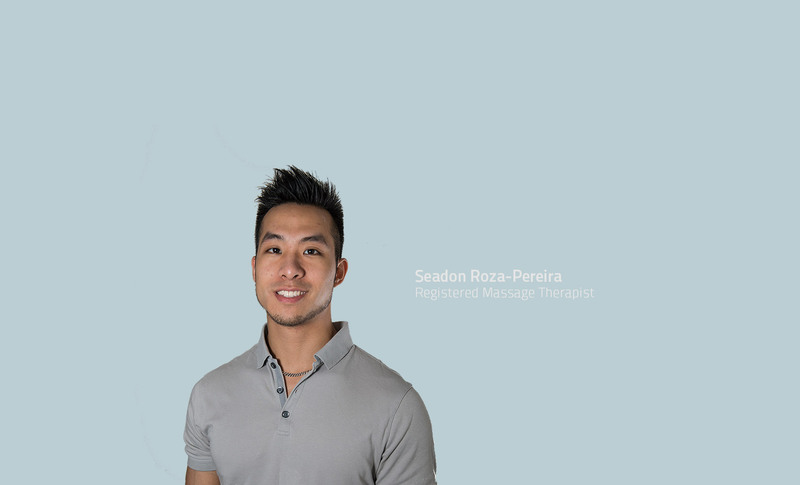 Seadon graduated with a diploma in Kinesiology before completing the 3000 hour program at West Coast College of Massage Therapy. During his time at WCCMT, he had the opportunity to gain clinical experiences by volunteering time at George Pearson Hospital, GF Strong Rehabilitation Center, Friends for Life, Special Services Clinic (Multiple Sclerosis, Fibromyalgia, Arthritis), and Ride to Conquer Cancer. Working with people from all walks of life had influenced Seadon to treat each person individually and create a treatment plan that accommodates their needs and goals. He uses a combination of myofascial release, swedish, soft tissue and joint manipulation, trigger point release, and muscle energy techniques. Outside of work, Seadon enjoys going to the gym, playing sports, and various outdoor activities.